The Toxic Drop offers players 7 obstacles to test their skills. 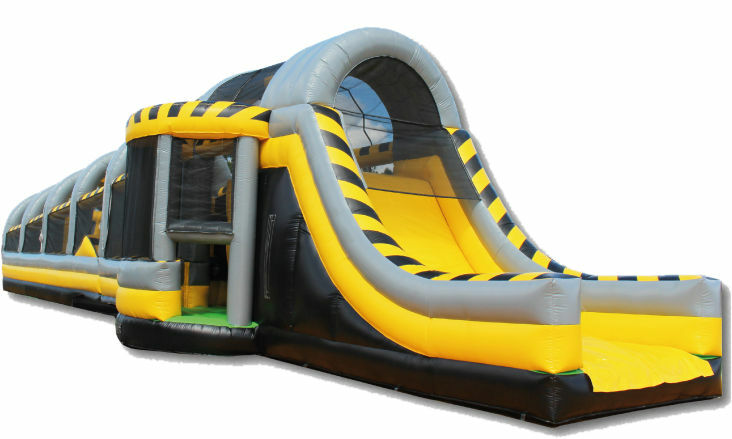 You will jump, climb, squeeze, vault, drop, balance and slide as you pit your speed and strength against your opponent. 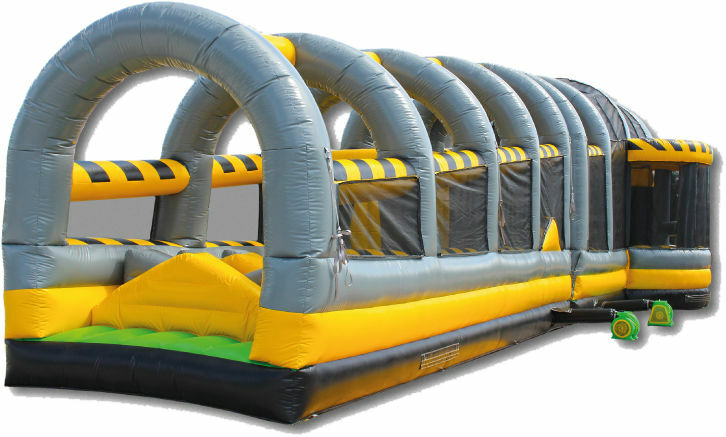 Watch out for that last obstacle - it wobbles! First one out wins! 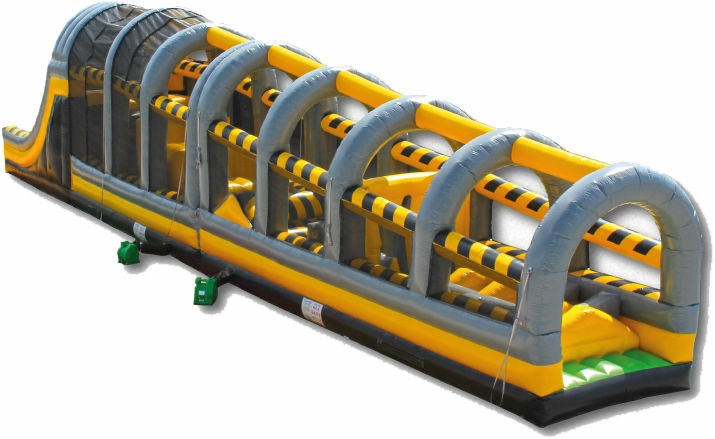 Loads of fun for both kids and adults, The Toxic Drop will be a sure winner at your next event.